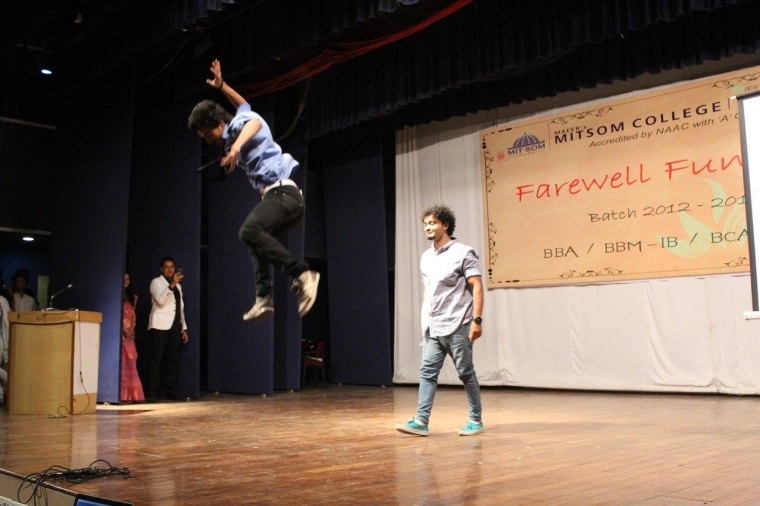 In an emotionally surcharged atmosphere inside the Vivekananda hall of the MIT College Campus, the students, staff and management of the MITSOM College bid adieu to the Students of 2012-2015 Batch at a grand farewell function. 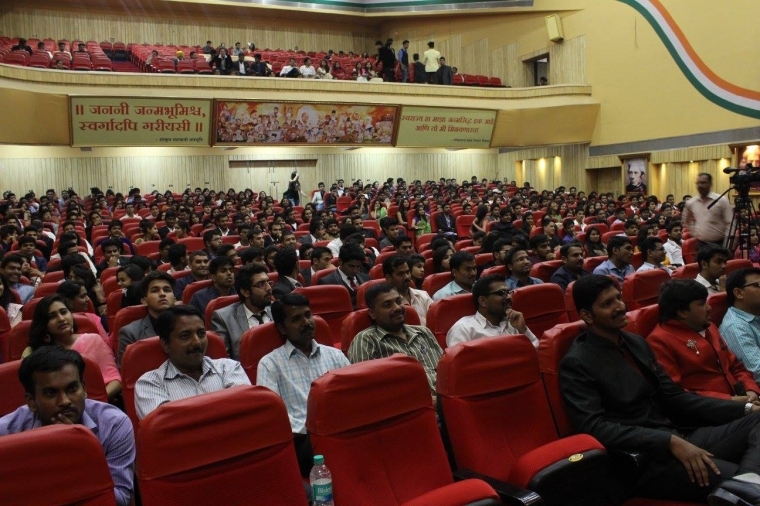 The programme commenced with the address by the principal, Dr. R. M. Chitnis where he spoke encouraging words of wisdom for the final year students which was followed by a special felicitation by TYBBA students in which they gifted the principal and to all the 4 HOD's; a copy of the Bhagvad Gita. The evening progressed with the unveiling of the college magazine, Jagruti by the principal and the various department heads along with the magazine editorial board. A video presentation by the college made everyone mushy. It reminded them of their yesteryears and home away from home. Thereafter sophomore students; Suyash, Safa and Vaishali (BBA); Vikrant (BBA-IB); Ashish and Taarak (BBA-CA) and Aditya (MCA) came forward to share their experiences and memories of their beloved seniors.The General Secretary, Kaushik Jaiswal gave a heart warming speech. 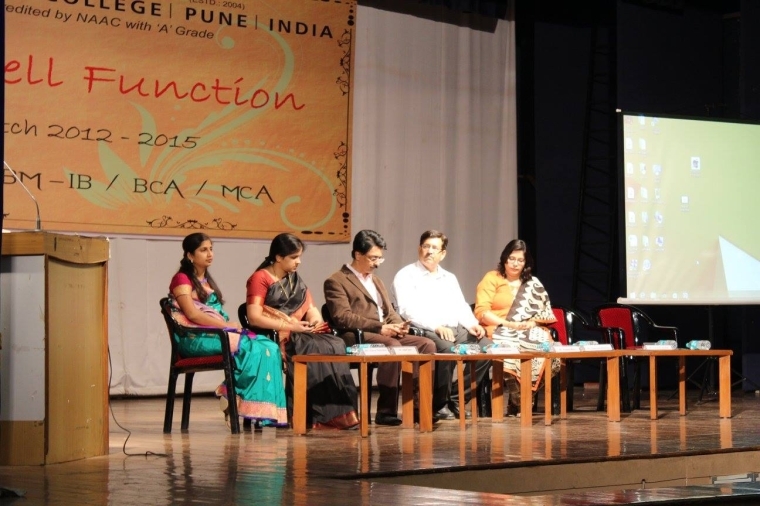 The nostalgic students of the final year; Hardik (MCA), Isha and Suman (BBA-IB); Digvijay, Rucha and Yash (BBA) Mrunmai, Lalit, Harshad, Sagar and Kaushik (BBA-CA) brought tears to the eyes of all present by the recollection of their college days. Vipul Devrani and Rishab Shridhar mesmerized all by a lovely dance performance on a fusion track. 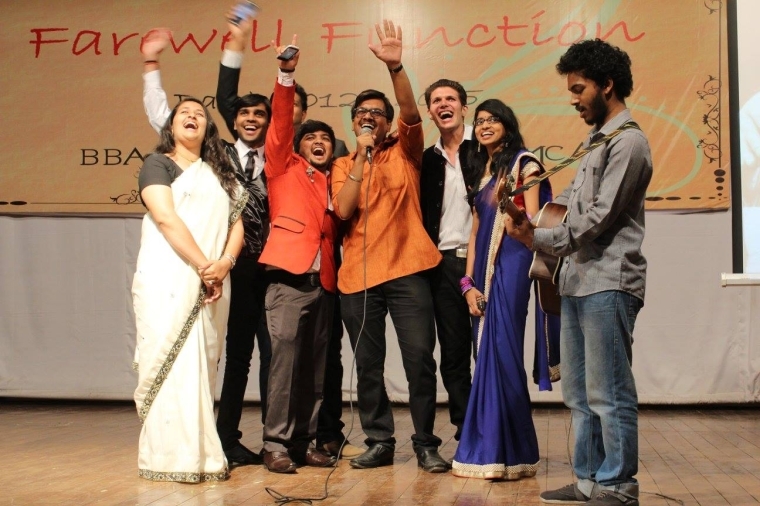 The cultural events progressed with a song by Shrirang, Lalit and group which was a consecrated to the teachers. 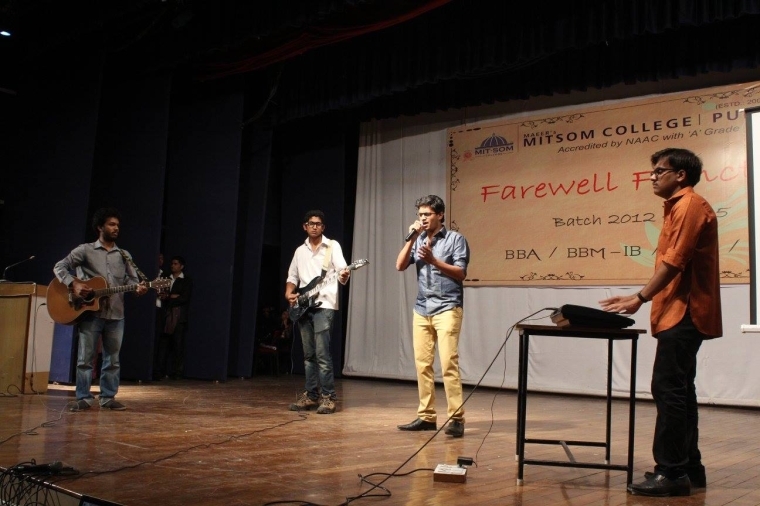 Another song was performed by the third year BBA (CA) students; Mrunmai, Lalit, Kaushik, Harshad, Prafulla; and many others reminiscing the college life.The programme concluded with a dinner organized for the TY batch.